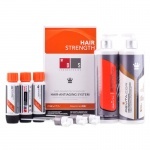 Hair Care, Salon Styling Products, Thinning and Hair Loss Treatments. Express yourself and impress others with conditioned, shiny and funky styled hair by using our range of designer hair care and salon brands. 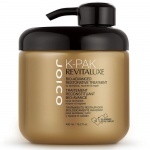 Reconstruct and repair dry or chemically treated hair with Fudge Unleaded, Phyto 7, Lanza Dry Hair Formula, Paul Yacomine and Joico K-Pak and give fine hair a boost with Phyto Volume Shampoo. Slick, style and cheat your way to catwalk hair with styling tools such as Fudge Hair Shaper, ICE Spiker, MOP C Curl and Lanza Art Elements Taffy. Haircare technology has advanced to an incredible degree. The humble shampoo no longer just cleanses the scalp and hair but treats it and makes it instantly healthy and revitalised. 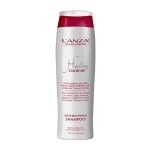 Conditioners are the final step in creating that perfect head of hair. Whatever your hair concern conditioners are the second stage in your haircare regime. Choose from leave in or shower off formulas. If your hair needs a little extra help to look amazing then look no further. This section contains the latest hair treatments to treat whatever concern you have. Some haircare companies treat the scalp in a specific manner to help you achieve great hair health. This section contains ranges that target the scalp to help it create and host the best hair you can have. Hair thinning and loss is a common but worrying concern. This section contains a variety of home care items containing the latest hair and scalp technologies, from shampoos and conditioners, to scalp treatments and supplements. Get that salon styled look in a couple of steps with this varied range of hair styling products. For a variety of finishes using a host of different textures this section can give you that magazine inspired look each time you style. Bored of your natural hair colour and fancy a change but do not want to pay hairdresser fees? Choose from a range of hair colours from trusted haircare brands. 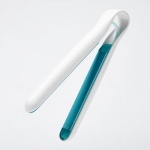 Gone are the days when hair brushes and combs came in one style. Now you can choose from a variety of bristle types, shapes and sizes to achieve that just been to the hairdresser look at home. 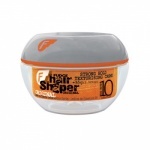 An absolute essential to achieving the perfect hair do. Electrical tools have advanced to such an extent that they can actually increase the shine and smooth texture of the hair withour causing damage. Treating your hair from the inside out can be a quick fix to maintaining a gorgeous mane of hair! Babies and childrens hair has a different texture and need to that of adult hair. 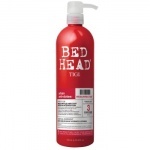 This section contains some brilliant tear free haircare solutions for this age group. Let the hydration therapy begin. 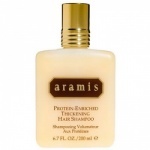 Bring weak & brittle hair back to life with this powerful moisture packed shampoo. The Stopil P hydrolotion promotes scalp normalisation and thereby helps improve hair quality. d:fi destruct is a medium hold factor extremely flexible pliable paste that allows you to style the hair however you like. d:fi destruct has a hold factor to hold the hair in place while you work your style.